“No Man’s Land”, Deniz Aktaş’s first solo show at artSümer, features Aktaş’s meticulous drawings; daring depictions of unsound structures, still-life myths with questionable existence and remnants of archaic structures that still exist today. n his drawings, time is still and place is mortal and force us to go beyond clichéd readings of these concepts. Starting within a naïve painterly world hosting conflicts, the stillness of time transforms, blending into a place and drawing a direct line to the current political sphere. Using a monochrome technique, Aktaş’s compositions depict parts of nature that the artist has reconstructed from deserted remnants, giving them a new life. There is a feeling of awkwardness, a possible divergence from what is visible; the unnatural, anomalous and out-of-place. Destruction, ruin, debris, rubbish and everything related to excavation are not the result of a natural process, but rather, the unchanging destiny of the part of Turkey where he lives and works. The rigorous process employed references the feelings; restrictions in quality of life and the breaking of language. It is in the negative space in the drawings that illustrates what is impossible to depict, the tensions and traumas encountered in daily life. 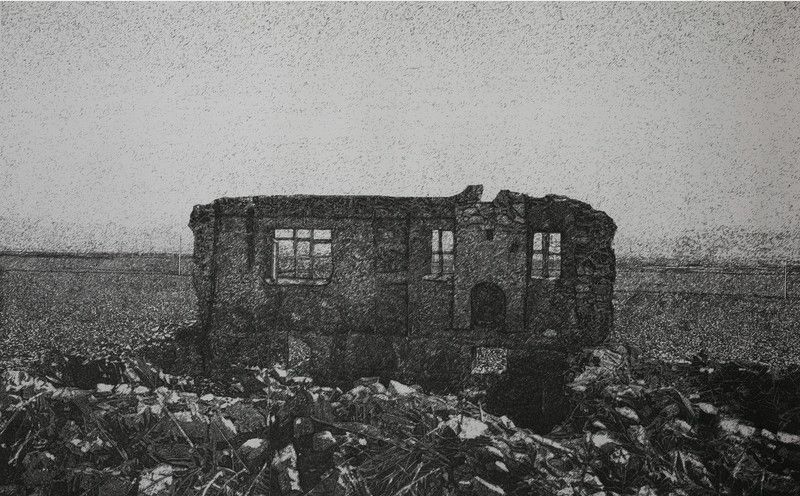 In his drawings and paintings, Aktaş examines traumas in urban memory through human and environment relations. The images carefully depicted by the artist bear the marks of urban transformation, forced evictions, demolishment and even the traces of conflict observable on the buildings of a complicated, recondite and disheveled city. His constructions, which encapsulate, absorb, suffocate and conceal their inhabitants, leave the viewers feeling caught in a whirlpool or lost in a labyrinth. Deniz Aktaş (1987) was born in Diyarbakır, Turkey. He completed his BFA at Marmara University in painting and his MFA at Yeditepe University in Istanbul. Aktaş participated in the Cité Internationale des Arts artist residency program in 2016. He took place in group exhibitions in Paris, Munich, Milan and Istanbul. Selected exhibitions include Confusion, Macao, Milan (2017); Poser Son Temps, On-Off Site, Paris (2017); Wider den Grautönen, Pasinger Fabrik Gmbh, Munich (2016); Mythologies, 3rd Mardin Biennial, Mardin (2015) and How Should A War Be Remembered?, CerModern, Ankara (2015). 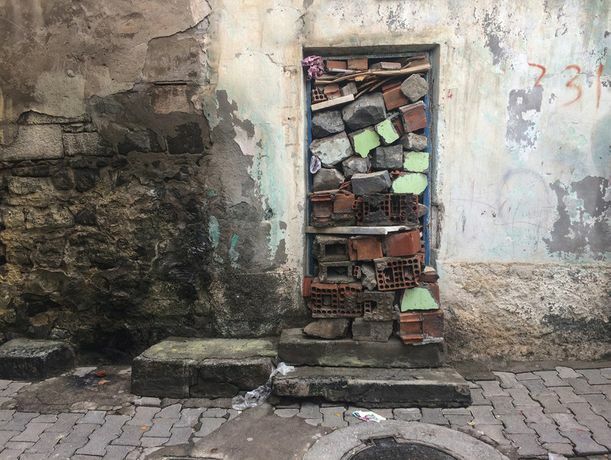 Deniz Aktaş is a co-founder of the independent contemporary art space Loading in Diyarbakır. He lives and works in Istanbul and Diyarbakır.